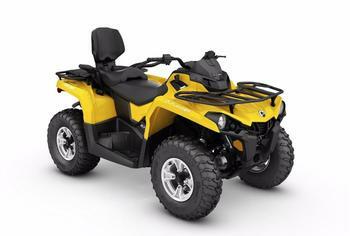 This recall involves model year 2017 Can-Am Outlander and Outlander Max all-terrain vehicles equipped with a dynamic power steering (DPS) and a 450 or 570 engine. The vehicles were sold in various colors. The model name is printed on the side panels of the vehicles. The vehicle identification number (VIN) is printed on the frame under the seat in the middle and on the frame behind the right front wheel. The ATVs, manufactured in Mexico, were sold at Can-Am dealers nationwide from June 2016, through December 2017, for between $6,000 and $9,750. Consumers may contact BRP toll-free at 888-272-9222 from 8 a.m. to 8 p.m. (ET) Monday through Sunday or online at www.can-am.brp.com for more information.